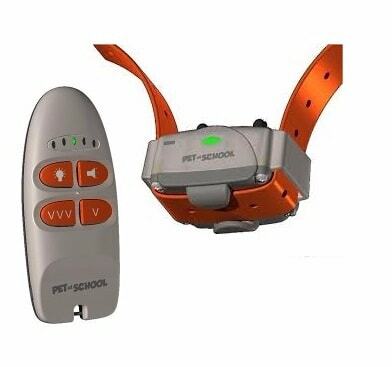 Pet at School Soft is basic anti-barking collar for small and also for big breeds without any need to adjusting. Collar is activated by the traction of vocal chords while the dog is barking so it is excluded turning on by the barking of another dog. Pet at School Bark Soft is waterproof and it has very durable battery. It has sound and pulse warning. Its range is 200 meters. Pet at School Soft is basic anti-barking collar for small and also for big breeds without any need to adjusting. Collar is activated by the traction of vocal chords while the dog is barking so it is excluded turning on by the barking of another dog. Pet at School Bark Soft is waterproof and it has very durable battery. It has sound and pulse warning. Pet at School Bark Soft automaticalyl increase the power of stimulation in order of lenght of barking. Activity of collar is set on by the vocal chords of the dog. 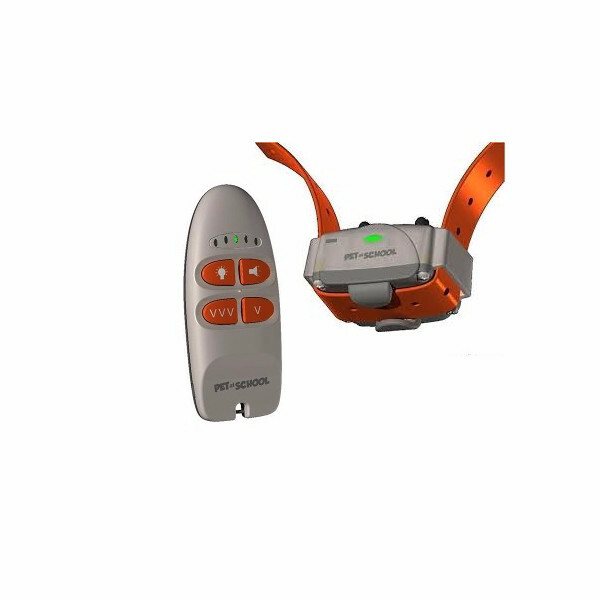 It has also LED light inside of the collar which helps you locate your dog in the dark. 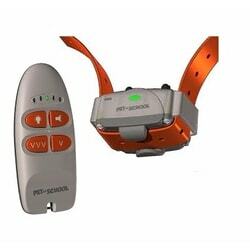 Pet at School Soft helps you train your dog without using dog leash to the range of 200 meters. Range of 200 meters is enough for most of the training types. It is ideal choice for basic training. Training collar Num Axes Pet at School has possibility of use sound, vibrationso there is no need to use electric pulse. Pet at School Soft uses for power 3V battery CR2032. Battery life is around 6 months. Pet at School Soft is not fully wateproof transmitter. So it can be used inside and outside but not while raining. 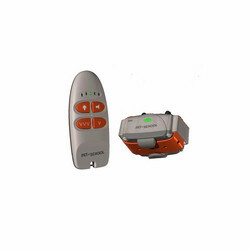 But receiver is fully waterproof it is perfect for training dogs in the water. 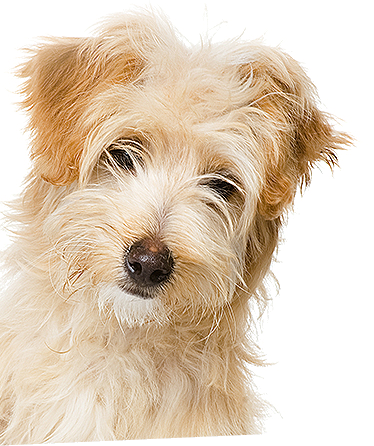 Pet at School Soft is specially designed for training of one dog. Because of that controls is specially designed - very easy. For every function there is one button. Pet at School Bark Soft has very strong and quality collar made from plastic. It is very pleasant for the dog and it holds perfectly on the neck. 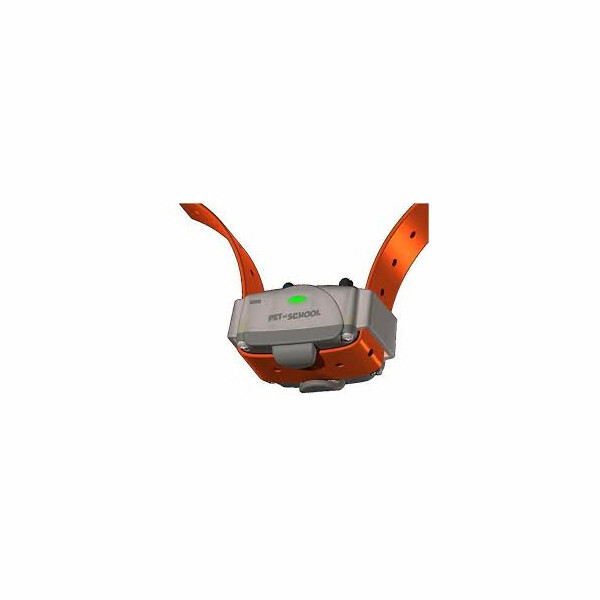 Lenght of the collar is adjustable from 20 to 65 cm. Transmitter has width 4,2cm x 9,8x 1,7cm and its weight is only 36g. 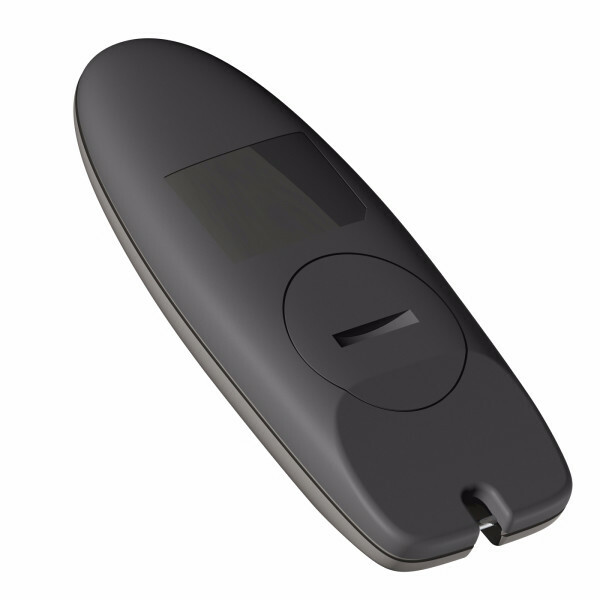 Receiver has width 6,8cm height 4,3cm and depth 3,8cm its weight is 75g.